Next month will be a very exciting one! 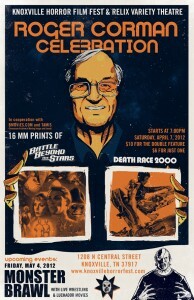 In anticipation for this busy month, my first post will be dedicated to the Knoxville Horror Film FEst’s Roger Corman Celebration! 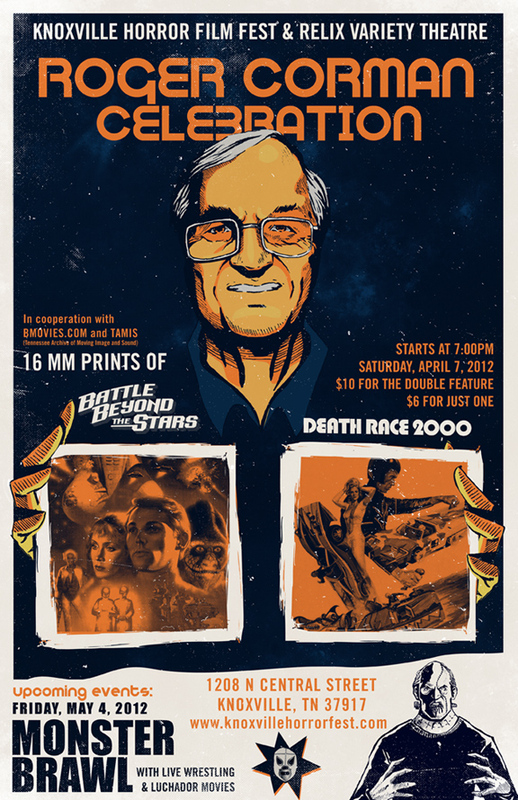 In honor of the documentary “Corman’s World,” and in participation with BMOVIES and TAMIS (Tennesse Archive of Moving Images & Sound), we will be screening “Battle Beyond the Stars” & “Death Race 2000” on 16 MM film! Here’s the promotional flyer I made for the event. I mixed my original illustrations and some of the original 1-sheet images from the films. Hope to see you there!